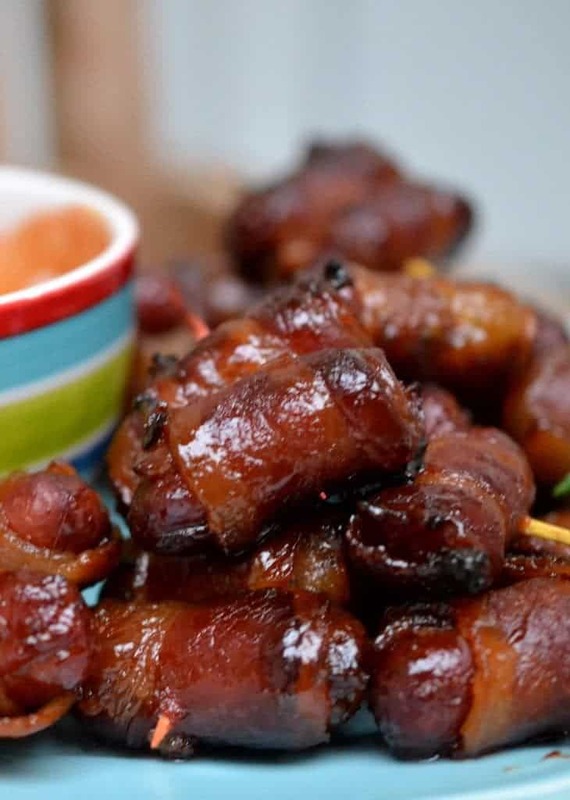 Bacon Wrapped Little Smokies are the perfect appetizer for game day and holiday parties. They are quick to prepare, dependable and easy on the pocket book. Oh these Bacon Wrapped Little Smokies are so yummy. They are some what addicting so be careful. Proceed with caution. They are the perfect party or game day food. They are super kid friendly so you might need a double batch. 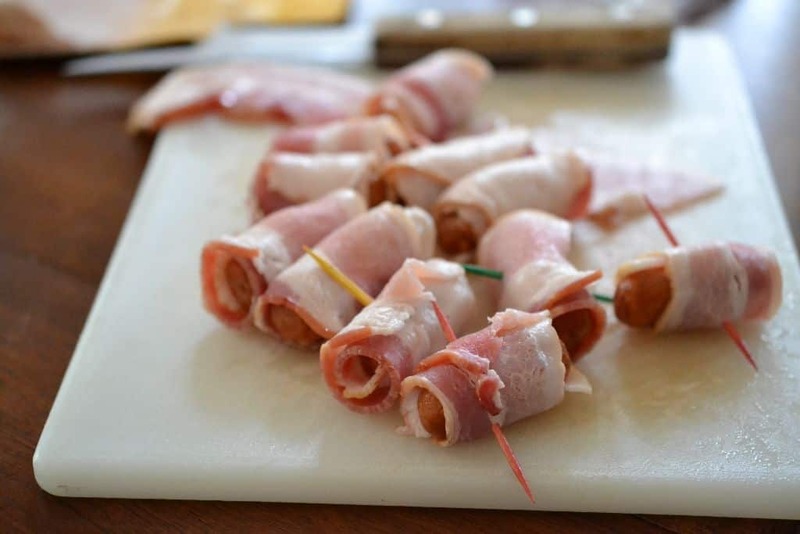 Bacon Wrapped Little Smokies recipe is a cinch to put together and a family favorite!! 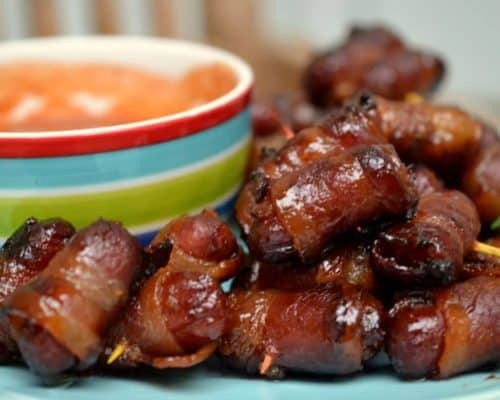 How to make Bacon Wrapped Little Smokies! You will need some little weenies!! And some bacon!! 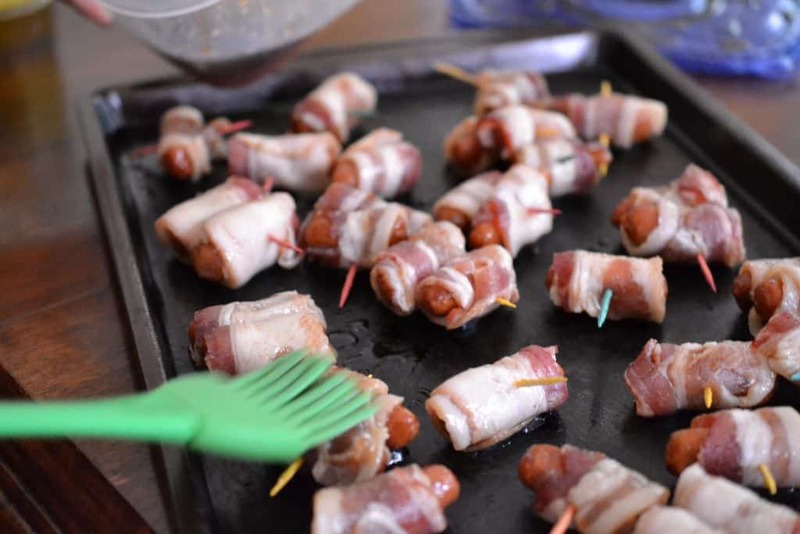 Cut the bacon in thirds and wrap it around those little wieners and secure with a toothpick. Do some toothpicks with double weenies and some with single weenies. After all variety is the spice of life or at least that is what my late Mother used to say! Coat them in brown sugar and let them sit overnight! Spread them out on a cookie sheet and baste them with any brown sugar that is in the bottom of the storage container. Cook them at 350 degrees for 15 minutes. Flip them and cook for another 5-10 minutes. Mix the BBQ sauce, Dijon mustard and honey together and serve with the smokies. We love to entertain friends and family! Do you? Here are some more awesome appetizer recipes for your enjoyment! Other appetizer recipes you will love! 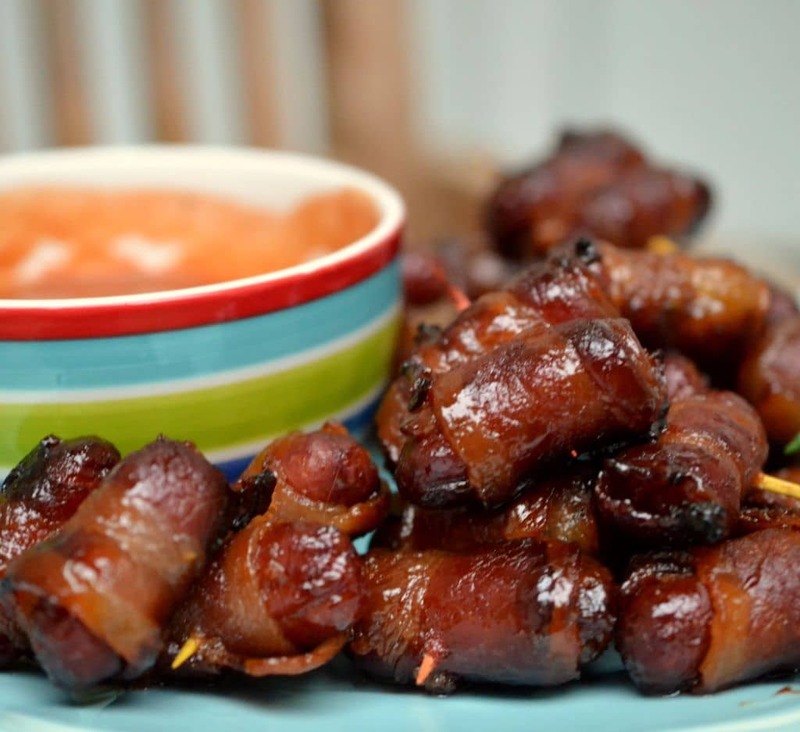 Helpful hints on making these Bacon Wrapped Little Smokies with brown sugar! Use good quality bacon and not too thick or too thin. They do not have to be refrigerated overnight but the longer they sit in the brown sugar the sweeter the bacon gets. They are absolutely delicious without any sauce. If planning for a crowd make a double batch as they go really fast!. This post was originally published June 22, 2014 and was republished June 15, 2018 with new relevant information, helpful hints and slight modification to recipe included reduced cooking time and a slight reduction in the amount of sauce. Cut the bacon in thirds and wrap each third around a hotdog and secure with a toothpick. Place in a large storage container and pour the brown sugar over the top working it around to coat the hotdogs. Refrigerate for a couple of hours to overnight. Transfer to baking sheet and coat with any leftover brown sugar from the bottom of the storage container. Bake at 350 degrees for 25 minutes or until golden brown turning halfway through the cooking process. Mix the BBQ sauce, Dijon mustard and honey together and serve with the weenies.